Tourism to and within India has undergone some important changes in recent years seen by the rising numbers of international tourists and increase in domestic tourism. This has led to the redevelopment and rebranding of many of its destinations as the Indian government has begun to recognise the potential importance of tourism to the Indian economy and has begun to invest in tourism infrastructure. It is also recognised that as its economy continues to grow at a rapid rate, India will also become one of the most important countries in terms of future outbound tourism. Tourism and India is the first book to specifically focus on and fully analyze the issues facing contemporary India both as a destination and a potential source of tourists. 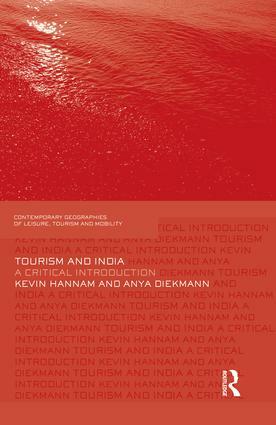 The book analyses previous research and applies critical theory to key aspects of tourism in this region and supports this with a wide range of examples to illustrate the key conceptual points. As such the book examines aspects of tourism in India including tourism governance, cultural tourism, heritage tourism, nature-based tourism from the supply side and international tourism, domestic tourism, outbound tourism and the Indian Diaspora from the demand side. This timely book includes original research to offer insights into India’s future development in terms of tourism. It will be of interest to students, researchers and academics in the areas of Tourism, Geography and related disciplines.